1. Get your oil changed. Take a look at the upper left-hand corner of your windshield and see if your car is due for an oil change. There are two reasons we remind you to do this. The first reason is that we want you riding around in a car that’s well maintained. If you get behind on your oil changes the stresses of stop and go traffic and the drop-off/pick up line is going to really end up hurting your engine. Secondly, we do a 25-point inspection whenever we do an oil change, so we may be able to catch some things that need attention on our car before they become a big problem. 2. Take care of routine maintenance. If there’s any routine maintenance that you’ve been putting off, come in and let’s get it taken care of. There’s a schedule of routine maintenance in your owner’s manual, and we have a schedule for your vehicle here as well. We understand that back to school time gets expensive with school clothes, lunches, supplies, etc. But budgeting to take care of your routine maintenance now can save you from a costly repair later. This is easier said than done, but try to watch your idling in the pickup and drop off lines at school. It is not good for your engine to be idling for a long period of time! You might try getting to school a little earlier, so you can drop off without having to wait in the line. Or maybe you can park a little ways away from the school and walk your kiddo to the building. But keep in mind that it’s just not good for your vehicle to be idling for long periods of time. 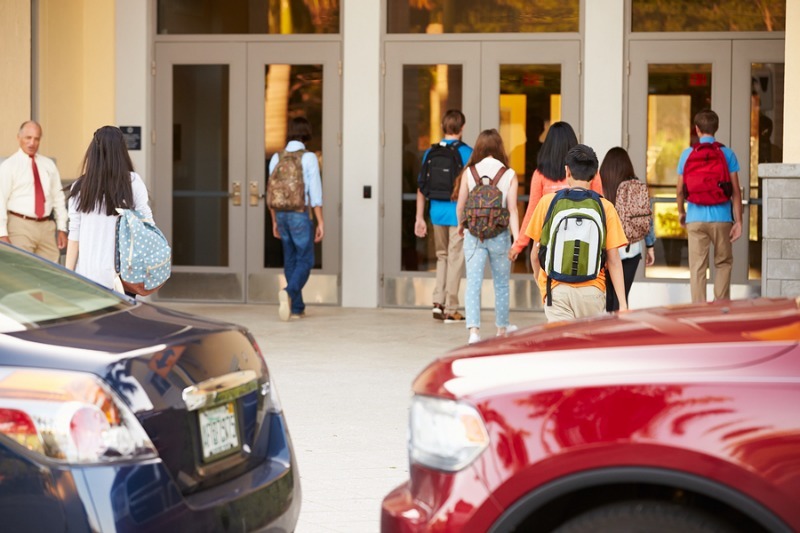 Remember these three tips to make sure your car is in great shape to start the school year. We hope you and your kiddo have an amazing year, and we can’t wait to see those back to school pictures on the first day!